At Doors Direct 2U we can supply you with stylish external French doors which meet a high quality build standard. All our timber French doors are manufactured by JELD-WEN so it is guaranteed that they will bring style to your home. All our French doors are supplied at outstanding value which will be hard to beat online. Our external French doors come in either real oak veneer or solid oak. They also come in varying different sizes which means that you should be able to find the correct size for your opening. All our French door sets come in the usual brickwork standard opening height sizes so you just have to make sure that you choose the right width. We know it is important that the outside of your house looks good as this is what most people will see. Our French doors will always look good to those people who are admiring them from the outside and YOU also will enjoy looking at them through the comfort of your living room. You can be rest assured that all our French doors use toughened safety glass they also come with a 2 or 10 year manufacturer’s guarantee against any manufacturing defects. Another important part of a French door is of course the security this is why all our French doors come with multipoint locking. 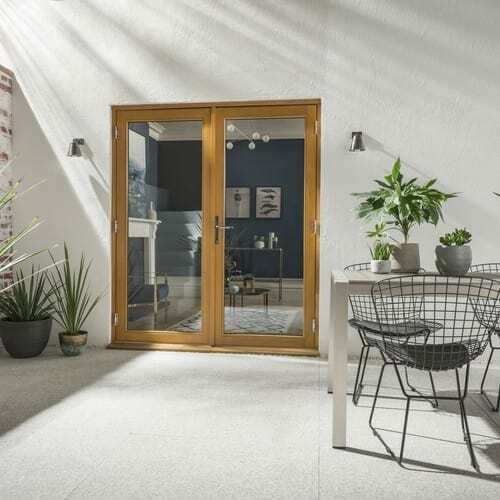 Please note that our Canberra range of French doors are made per order this means that they cannot be refunded if the order is cancelled by you. You can also see our range of softwood french doors here.